Published March 31, 2017 at 640 × 467 in 3) Crystalscpape_640x467. Crystalscape 36x48 After using a series of meditating CDs to stimulate the brain creativity, this painting was the first one that emerged. In my minds eye, I found I could see the environment in a three-dimensional form. 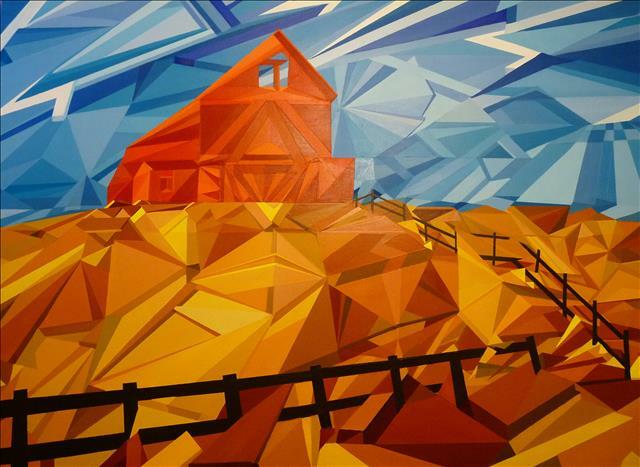 The combination of angles, primary colours, composition and perspective makes this a unique painting that is mesmerizing.